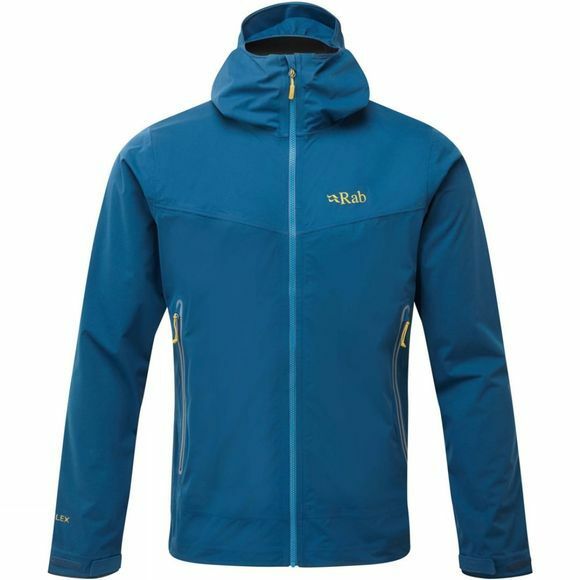 If you’re looking for a "do-it-all" jacket that can handle changing weather conditions in a lightweight package then look no further than the Mens Kinetic Plus jacket from Rab. 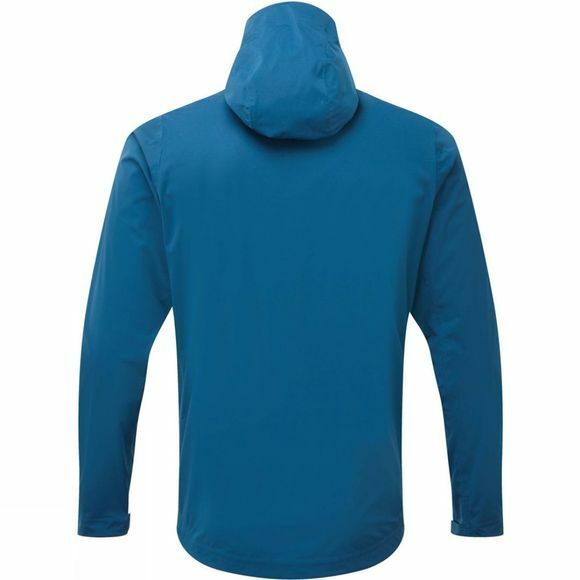 The Kinetic Plus jacket is designed to provide both the water and wind-proofing of a shell, with the stretch, comfort and warmth of a mid-layer. By sandwiching the PU waterproof membrane between two high gauge moisture wicking Proflex layers, moisture is drawn away from the skin, keeping you dry and your temperature regulated while maintaining a high level of wind and waterproofing. This is supplemented by the full-length YKK Aquaguard Vislon zip and the Aquaguard A-line front pockets, which keeps water out of key areas. With active uses in mind, the slim fit complements natural movements to ensure comfort at all times, while the stretch-on hood has a stiffened peak to ensure that if the weather changes quickly, you can stay protected from the elements. With a 10,000mm hydrostatic head, the Kinetic Plus offers an extremely high level of waterproofing for a softshell mid-layer. However, with a breathability of 35,000mm/sqm/24hr this jacket truly excels at allowing your body to breathe even in conditions that might not permit you to remove a layer to stay cool. Coming in slightly thicker than a straight wind-proof jacket option, the Kinetic provides a more protective feel from harsher elements without the associated heavy pack-weight of some alternatives. Still not sure? You can check out our full range of mid-layers here and our range of waterproof jackets here.